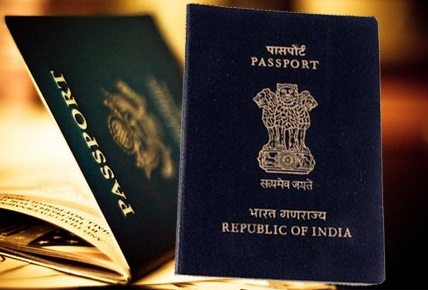 PUNE: The Regional Passport Office (RPO), Pune has been successful in achieving delivery of passports in the stipulated time of 21 days. In fact, it often achieves zero pendency in printing. About two years ago, the time taken to issue passports was nearly 70 days. “A fresh passport is issued in 21 days, subject to police verification, while a renewal passport is issued in maximum eight days after the appointment. When an applicant reaches the C counter at the passport office and his/her case is granted, the online documents are immediately sent to the police to initiate the verification process. Once we receive clearance from the police, we print the passport and dispatch it,” explained regional passport officer Jayant Vaishampayan. Shivani Jalan received the passport exactly three weeks after her appointment. Her husband’s passport, a renewal passport, reached them in two weeks. “We received timely updates about the status of our applications, when the police verification was due, where we had to go, and when our passports were dispatched,” Jalan stated. Vaishampayan stated that they have also been sending a pending list to the police on a regular basis to ensure that the passport is issued quickly. “Certain applications are pending only due to adverse police reports,” the officer added.